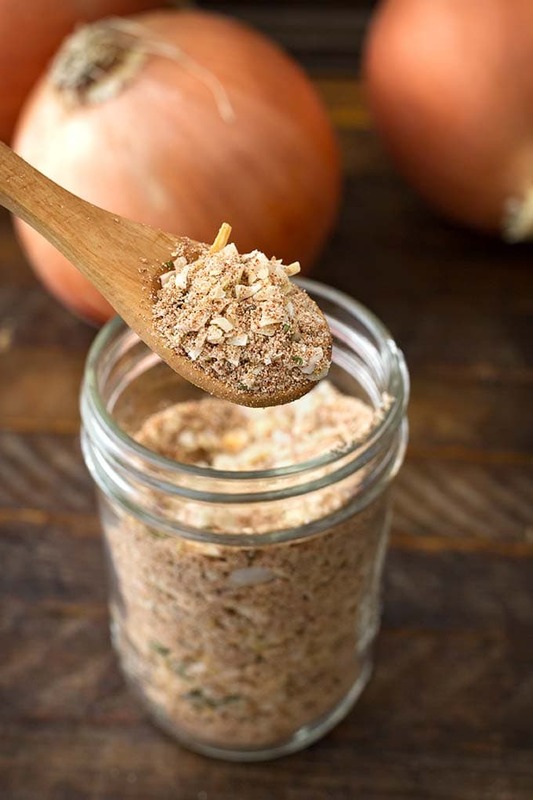 Homemade Onion Soup Mix is a convenient pantry staple to have on hand. 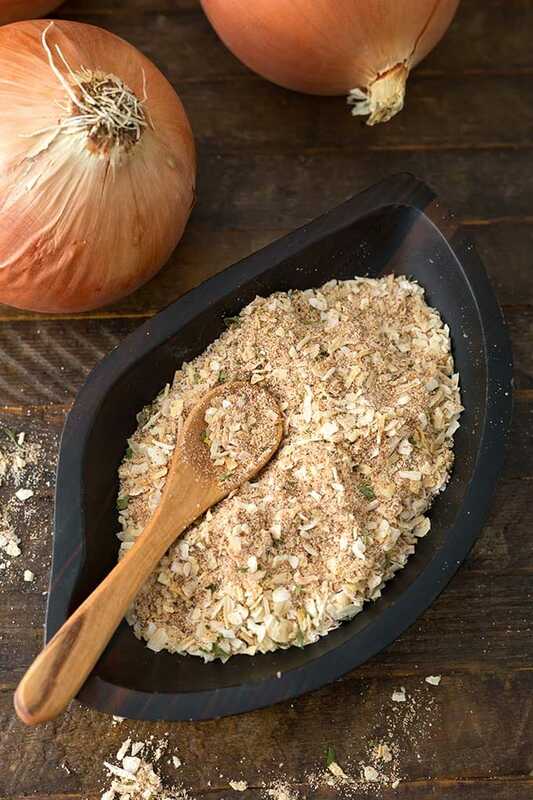 Dry onion soup mix adds lots of flavor to recipes like pot roasts, soups, dips, rice, and many others. You can make your own onion soup mix from scratch, and control the amount of salt and unwanted ingredients. I really like the convenience of using pre-made spice packets in my recipes. The flavors are usually just what I need to make the recipe the way I want it. The problem is that some of them are too salty, and that can ruin a recipe. So now I make my own! The commercial onion soup packets have a lot of sodium in them. Not everyone likes or can have that much salt. 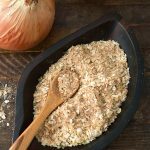 For those of you who are wanting a lower sodium content, you can make this dry onion soup recipe from scratch, with no salt, or low salt. 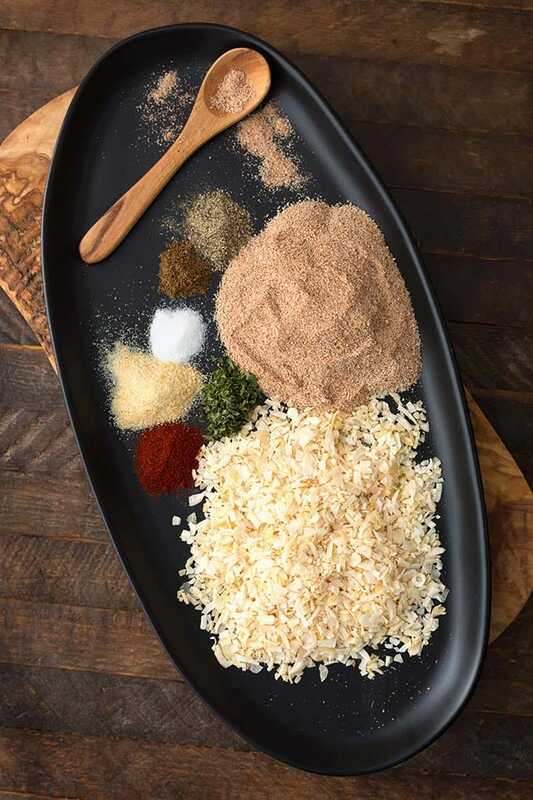 You might be surprised to learn that making homemade Onion Soup Mix is pretty easy because it contains spices you probably already have. I think the most exotic ingredient is ground celery seed, which you can buy in those small red capped containers at the supermarket. 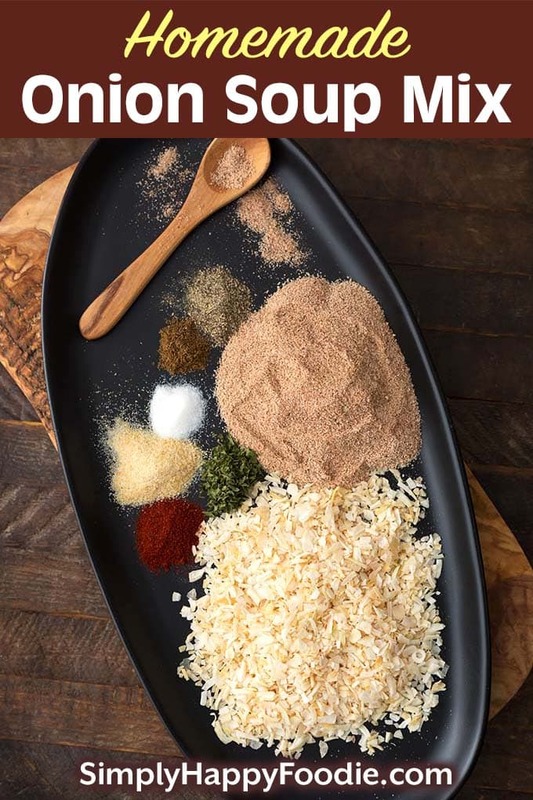 Also check the bulk section of stores that carry bulk spices. This Homemade Onion Soup Mix recipe makes the equivalent of 1 packet. You can multiply this recipe and store it in a mason style jar to keep it fresh. Making homemade spice blends is one of my favorite ways of ensuring that I will always have something delicious to season a recipe with. Below I have linked to several of my favorites. 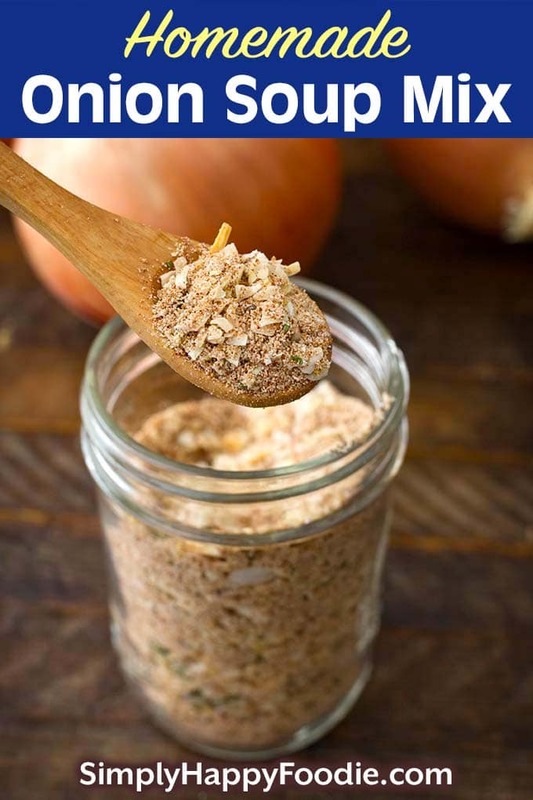 Homemade Onion Soup Mix is a great pantry staple to have on hand to add flavor to recipes like pot roasts, soups, dips, and many others. You can make your own onion soup mix from scratch, and control the amount of salt and unwanted ingredients. Mix all ingredients together and store in an air tight container, such as a mason jar. Store in a cool dark place, such as a cupboard or pantry. This mix to substitute for 1 packet of dry onion soup mix. Thank you so much for this recipe. I can’t have much sodium, so this is perfect. Can you tell me what kind of bullion powder you use & maybe where you buy it?. I use Better than Bullion low sodium mostly. I’m in the Nortwest too, though not a big city. Probably have similar stores as you. Hi PattiAnn, I use Herb Ox sodium free, or Better than Boullion low sodium, most often. I get them at Fred Meyer, Safeway, or online at Amazon.